Marketers say they have money problems. According to research from Conductor, lack of budget is the biggest internal challenge that could negatively impact online performance. Securing budget/investment is the most extreme challenge for marketing teams, according to KoMarketing research. And here at MarketingSherpa, you’ve told us the size of your marketing budget is a barrier to growth time, after time, after time. Hey, I hear you, marketers. I want a bigger budget as well. But if you can’t simply throw more money at the problem or outspend the competition, you can still beat them — with a better approach. 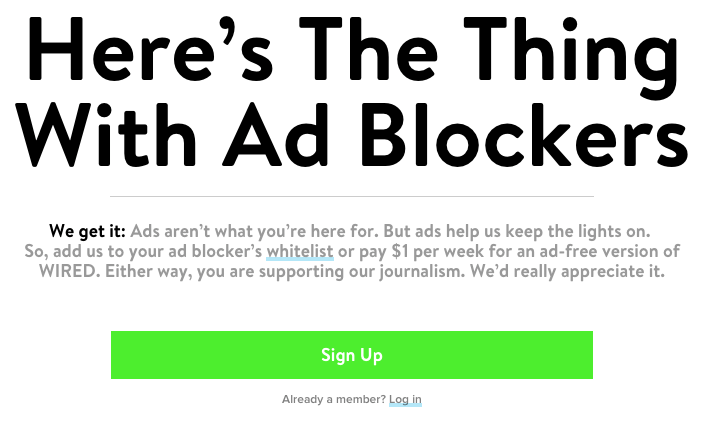 In other words, a more effective value proposition. I recently came across the perfect example when I talked to a marketer who likely has far fewer resources than you do. Dean Porter is the development director at Hunger Fight, a small local nonprofit organization here in Jacksonville that helps feed Title 1 elementary school students as well as seniors. Dean and his wife founded their charity in the teeth of the Great Recession. And they quickly learned that organizations were not so keen on simply stroking a check to a charity, even when it was doing noble work like feeding the hungry. They didn’t have a big marketing budget they could fall back on. 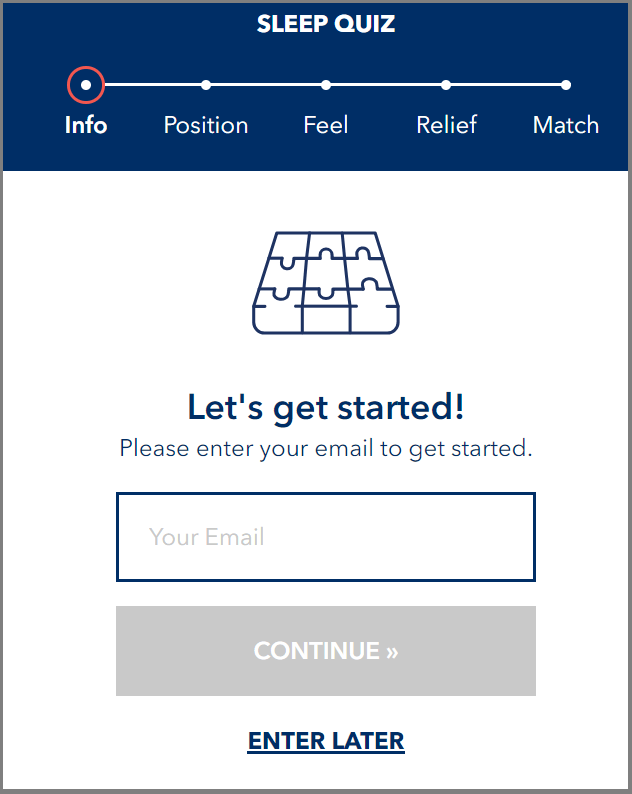 They couldn’t just spend their way into more leads. 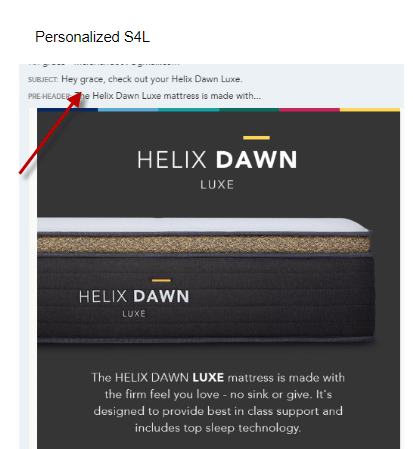 So they had to come up with a better idea – a value proposition aimed at giving to their ideal customers, not just taking from them. 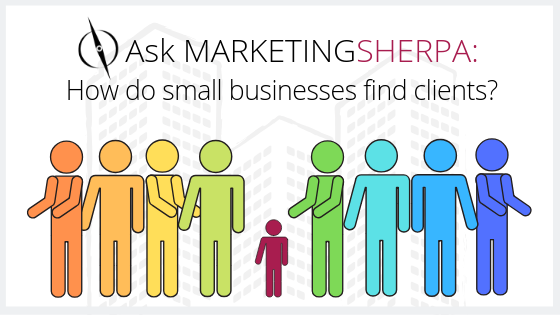 Comments Off on Ask MarketingSherpa: How do small businesses find clients? 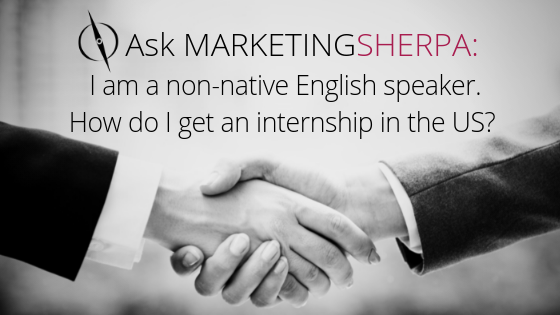 Dear MarketingSherpa: I have a question for you. In this ever more increasing digital age — where pressing palms and getting face time is getting harder and harder. How do small businesses find clients? I am a graphic designer/marketer whose business model is to contract with other small businesses. Much like a General Contractor hires subs when they build or remodel a house. When I get together with other contractors in the marcom field (web designers, marketers, other designers, branding specialists, etc.) 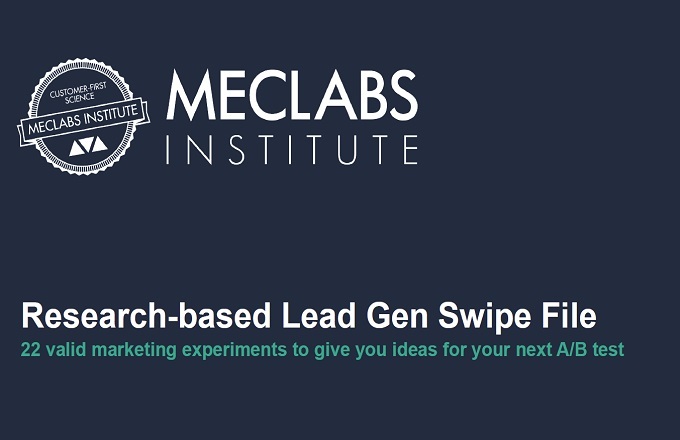 the first question is generally ‘So, how do you find new clients?” The answer is generally referral, but that only provides so much to the pipeline. We don’t have trade shows where the public can come in and meet us and get to know what options they have in terms of marketing their small business (like a home and garden show where the public comes in and meets the companies that offer home improvement — and all the new tech that goes along with it). Our local AAF chapter did one about 7 years ago. It was poorly attended and never repeated. I presented. It was a fabulous idea. We don’t have a Marketing Channel where people ooh and ahh over the latest couple who comes into businesses and turns their branding around and makes it all shiny and new and hands them a marketing plan and clients ready to purchase. Marketing is the slow burn and a mystery how some succeed and others don’t. People like Shark Tank because it’s a Cinderella story — where the prince bestows upon them the money they think they need to succeed. Success overnight! Everyone thinks it’s social media — but really that’s just more ad buys. And it’s left to the algorithm to determine how successful you are. So how do small businesses that are in service industries especially find new clients? Sure we all know to go where our audience is, but our audience/ideal clients are in front of their computers looking for their own ideal clients. Or on the job, or at shows selling their own goods. They don’t scroll Instagram looking for business advice. They aren’t on Facebook reading funny memes. Generally. I mean they are definitely on their phones though. I’m interested to hear your thoughts on the matter. I mean even your own website when it gives examples, it’s usually really large companies with really large budgets and a full agency behind the A/B testing and research and metrics. Not really applicable on a smaller scale, in most instances. Even people that know they need to content market are buying their content, not generating it themselves or through an agency (buying it from a service that caters to their industry). Dear Reader: Hi Deanna, Thanks for reaching out. We get this question quite often from small businesses who are engaged in marketing. Comments Off on MarketingSherpa Podcast Episode #4: What do you lead with? 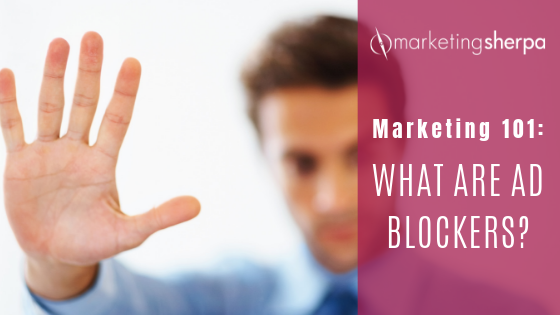 Comments Off on Marketing 101: What are ad blockers? 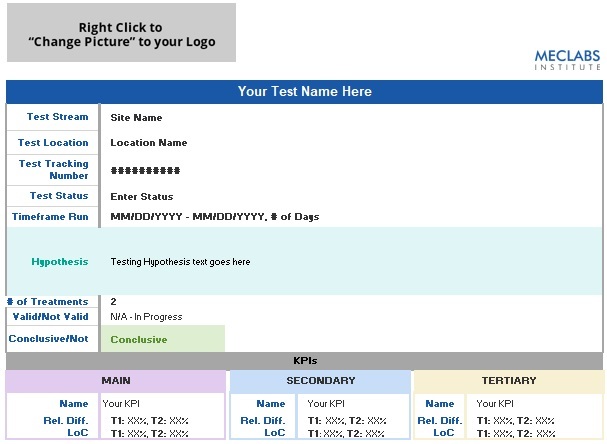 Comments Off on Marketing 101: What is a mobile breakpoint? You might be reading this blog post on a smartphone. Or perhaps you’re about to listen to this podcast on your phone. Because mobile has taken over. We have all become cyborgs now — part human, part machine. Don’t believe me? Just trying going without your phone for 24 hours. Go ahead, I dare you. As a marketer, these societal changes should spark some curiosity questions. 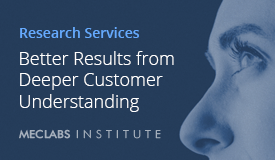 How do these customer behavior changes help you help the customer make the best decisions? 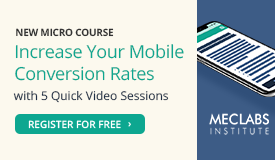 How can you better serve customers on mobile devices and increase marketing performance? And really, what is mobile anyway? Is it a device — just the same people we’re trying to reach on the desktop but with less screen space? 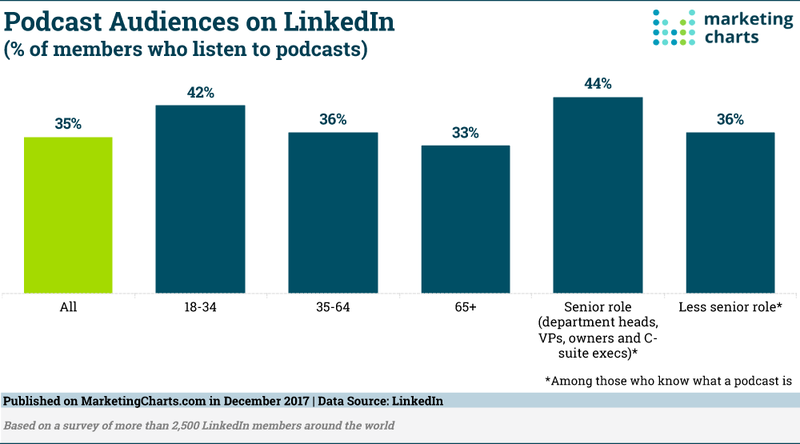 Or is it a segment — people’s behaviors (and perhaps even the people) are so different when they’re on a smartphone that we need to approach them in an entirely different way. 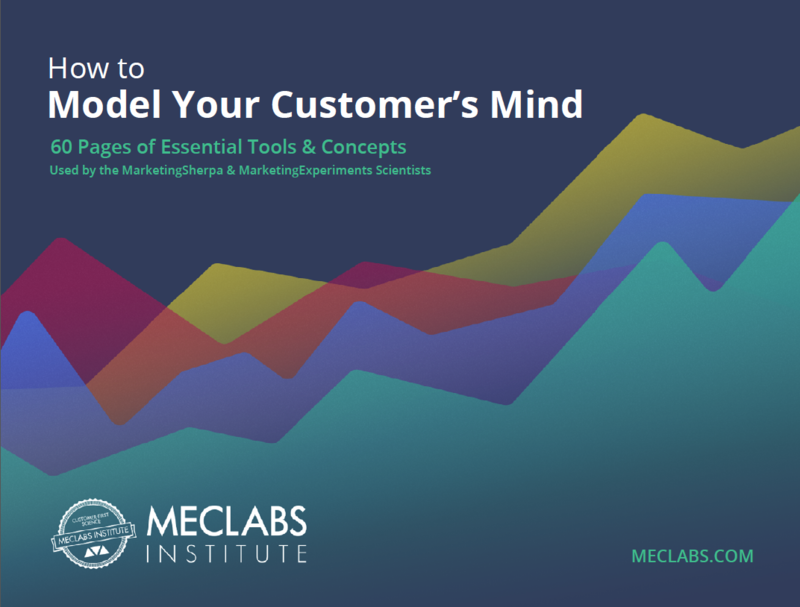 We cover this topic in MarketingSherpa Podcast Episode #2. You can listen to this episode below in whichever way is most convenient for you or click the orange “Subscribe” button to get every episode sent right to, let’s face it, your phone. Mobile marketing is a hot topic, but don’t just think about it in terms of technology. Or usability. As with any other human communication mechanism — from the caveman grunt to the printing press to the secret handshake to the telegraph, radio, email, you name it — using the mechanism correctly is just table stakes. It’s all in the nuance of how you use it.